With a plan in place, and the rest of the project more or less mapped out, it was time to make sure it could move under its own power. After getting the car home I took a few very easy drives, as suggested with the break-in instructions. Right away, I started to have some issues. After several drives to seat the rings, I took a very long drive around the valley. On the way home, I decided to really get the RPM’s up which I had never done before. At 6000 RPMs, I heard a very LOUD pop sound, the car ran like crap, and died. I coasted off the freeway onto the shoulder, and had to call a tow truck home. I had no idea what happened, and I figured I blew up my engine some how. Got the car home, and it started up! But… it definitely wasn’t running right. I drove it a bit out of the garage, and decided to take a full look at it. The first thing I did was pull the valve cover off. What I found wasn’t good. I’m surprised this car even ran! It was basically running on 3 cylinders! Fixed and put back together. Then it happened again. 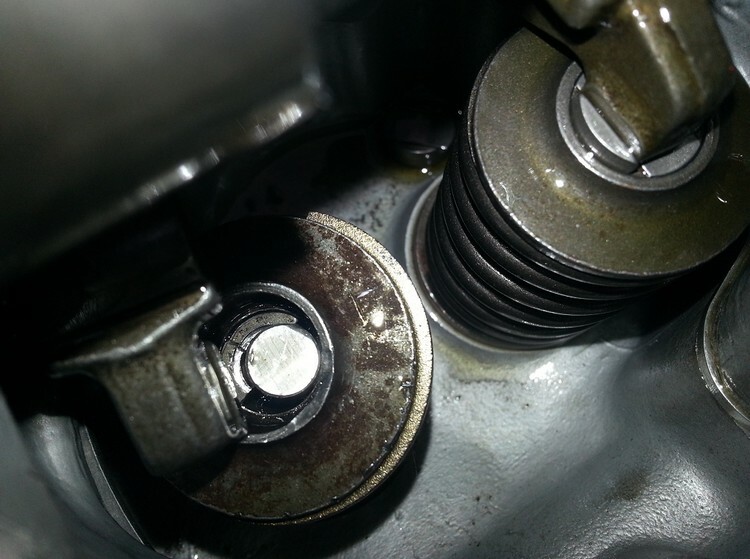 Then it happened a THIRD time, except this time in the #6 cylinder, on one of the valves, the retainer split. No valves dropped into the engine bay, thank goodness. I even had to invest in a spring compressor tool so I could work on this stuff without bothering other people. Eventually all the springs were replaced with Schneider doubles hylift springs. But… again it happened. 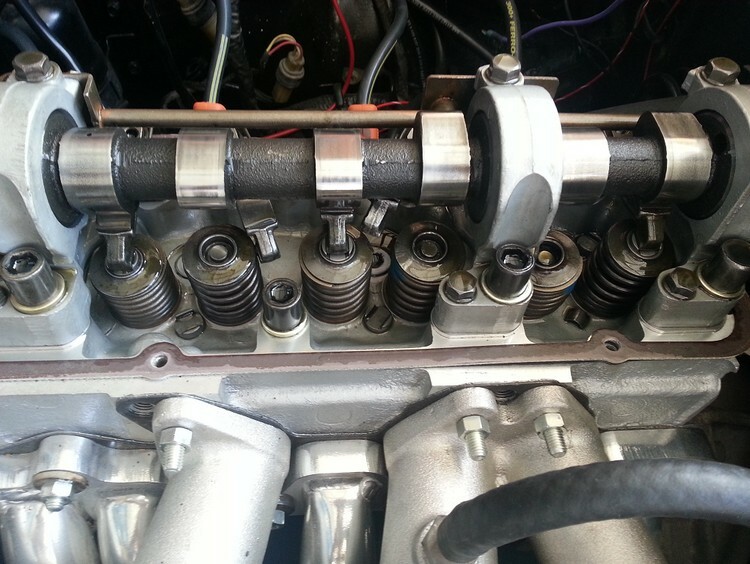 At this point I was so frustrated – it was clear that something was terribly wrong with this engine. After talking to a few people in the community about repair, I eventually made my way to Dave Rebello. I told him what was happening and asked if he could fit it in his schedule to get it fixed. It was prime race season now, so he was quite busy, but he said to ship it on over to him. I bought the timing chain holder and removed the head. 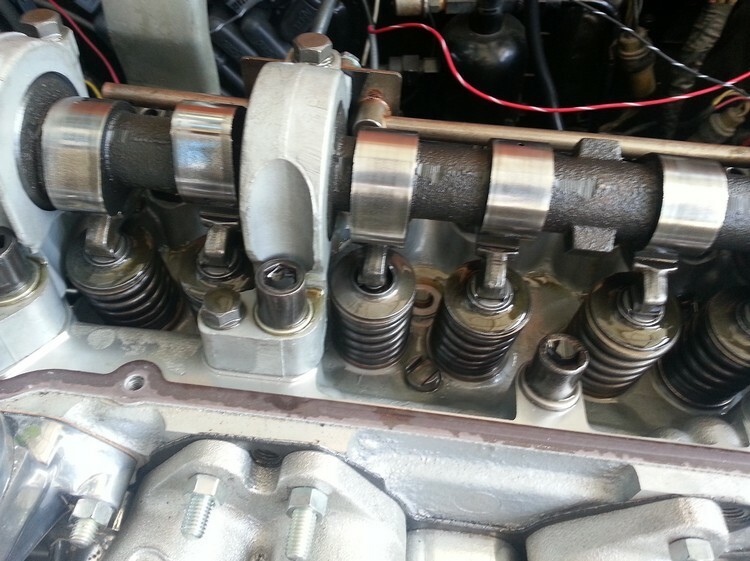 Pulling the head, the valves definitely had touched the cylinder heads. 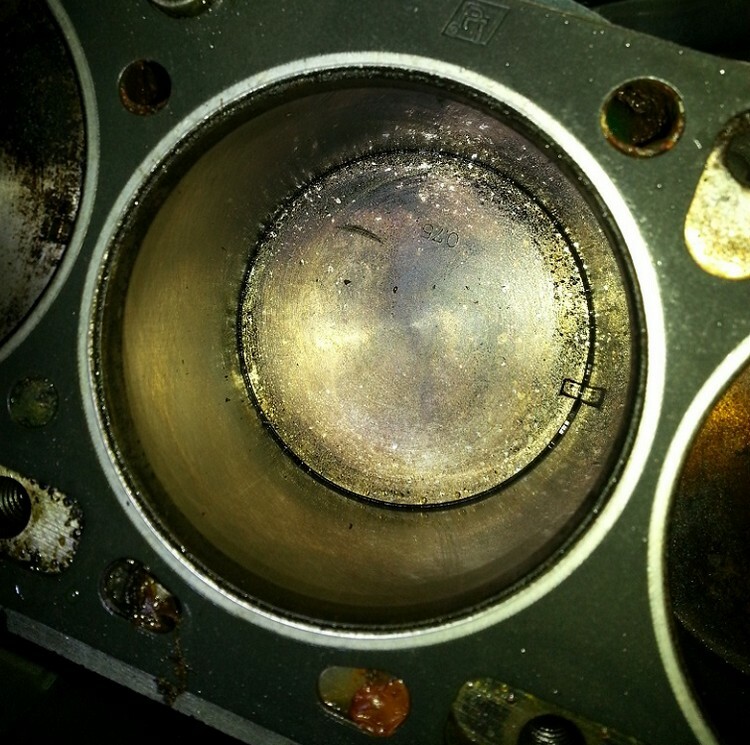 Number 2, 3 and 6 pistons had exhaust marks, and number 4 and 5 had intake marks. I also learned this was NOT an 89mm piston as well. Needless to say I was pretty pissed about this. I shipped the head off to Rebello and waited for word back. I decided, since he had it, to do a full street port, and add a cam with a good street compression ratio. I also sent the Cannon intake manifold to him so he could port it as well.